Hotel Apponyi is currently out of operation. If you are looking for a similar accommodation please send us a request and we will offer you some possibilities. 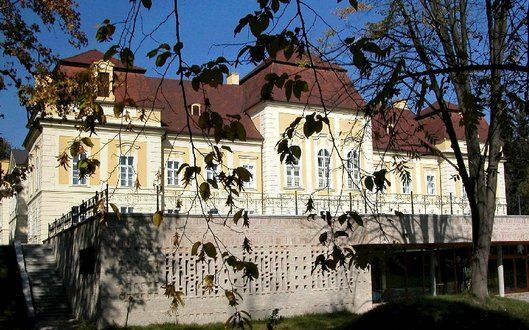 The perfect combination of style, comfort and elegance, Count Apponyi Mansion Hotel lies in the middle of a 5.5-hectare park in the small village of Hőgyész, in Southwest Hungary, 160 kms far from Budapest. Nobody knows when exactly the mansion was built. In 1773 it went over to the possession of the Apponyi family and remained so until 1939. Then it served as a refugee camp, military hospital, holiday home and orphanage. 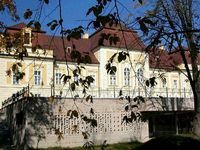 The Count Apponyi Castle Hotel opened in November 2001. You find our hotel in the midst of the beautiful Hungarian countryside offering luxurious accommodation, first class service and outstanding food. Your welcome will be warm and genuine; your bedroom will be well designed - whether grand or intimate, it will be individual with beautiful views over the castle park. For many guests, food and wine are a keenly anticipated highlight of a hotel stay. Our cuisine is of exceptionally high standard. Hungarian food is amongst the best in the world, and we have the chef to make it truly special.1. It is our personnel that make Count Apponyi Mansion Hotel so special; they create that extra, personal dimension which turns a fine hotel into a memorable experience. We are confident that you will find all the qualities of a top class hotel at Count Apponyi Castle Hotel. Enjoy the splendour of the Baroque days in one of the four suites or 27 bedrooms of the castle; relax in one of the 30 rooms (including 4 suites) of the comfortably furnished Elysium building - a newer building also set in the park. All bedrooms and suites have television, direct dial telephone and mini bar. 24 hour reception, parking, non-smoking rooms, two rooms for the disabled, room service are available. The health and wellness centre of the castle offers a wide range of diagnostic and therapeutic facilities under the supervision of qualified physicians and is based on the thermal waters found in the castle park. Health care services: mechanotherapy, balneotherapy, electrotherapy. Beauty salon: hairdresser, cosmetics, solarium, manicure, pedicure. Wellness programmes: Venus Beauty Programme, Wellness Overture, etc. Spa facilities: 10 x 20 m indoor swimming pool, two thermal baths, four saunas and a steam cabin. Conference facilities: Experience the luxurious ambience of the four meeting rooms and excellent service that makes Count Apponyi Mansion Hotel the ideal venue for exclusive meetings, receptions or conferences. Count Mercy Restaurant specialises in Hungarian and International Cuisine with wellness alternatives. In the aroma garden you find different types of herbs, such as sage, lavender and thyme. At the corner of the terrace stands a 250-year-old plane tree. It is so special that has got its own topographical number. How to reach the hotel: By car: from Budapest on M7 to Siófok (105 km), then on route 65 to Szekszárd. By rail: Dombóvár Intercity, Szakály-Hőgyész railway station (3 kms). Nearest airport: Budapest Ferihegy. • Half board is available at 4100 HUF per person.